All know H I M to be God the Father, Jesus the Son and the Holy Spirit! "...My hope comes from HIM. Truly He is my rock and my salvation; He is my rescuer, defense and fortress, I will not be shaken.". "Pour out your hearts to HIM, for God is our refuge. Praise the Lord, ...He is the One who heals all your diseases. In HIM was life and that life was the light of all mankind. Cast all your anxiety on HIM because He cares for you. " The Lord is my strength and my shield; my heart trusts in HIM and He helps me. The Lord's Word is flawless; He shields all who take refuge in HIM. And as the Spirit of the Lord works within us, we are transformed into the image of HIM. And the God of all grace, will HIMself restore you and make you strong, firm and steadfast. For from HIM and through HIM and to HIM are all things. To HIM be the glory and power forever and ever. Amen"
Your Wellness, Physically and Spiritually, is enhanced through "Frank Jordan's Podcast" with more than 1,000 spiritual and physical health 3 minute commentaries available 24/7 for listening by simply clicking on https://soundcloud.com/frankjordan-nsc . You are not alone in your challenges - let Frank help. Nationally, Frank Jordan now appears on Know the Cause on WGN TV at 6 am EST & PST plus 5:00 am CST weekdays. Frank Jordan's nationally broadcast TV interviews with Doug Kaufmann on various health topics are broadcast twice weekly on Know the Cause with the interview schedule at www.hwwshow.com . Check with your local broadcast services for your area show times. "With my mouth I will greatly extol the Lord;" "The Sovereign Lord has given me a well-instructed tongue, to know the Word that sustains the weary. He wakens me morning by morning, wakens my ear to listen like one being instructed." Psalm 109:30 and Isaiah 50:4-5. Frank says, "Let today be the first day of your better tomorrow." "H I M" seeks to support You in your spiritual health and life needs and does not solicit your support financially as a non-contributory ministry. 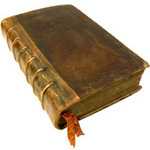 Enjoy, be enlightened and draw comfort from the unique compilation of Health Related Verses listed by Book of presentation in the Bible. Let us learn about spiritual or "Holyistic" health together through the teachings of faith as delivered to you by Frank and Connie Jordan! What and Who is HIM? WHAT AND WHO IS H I M? 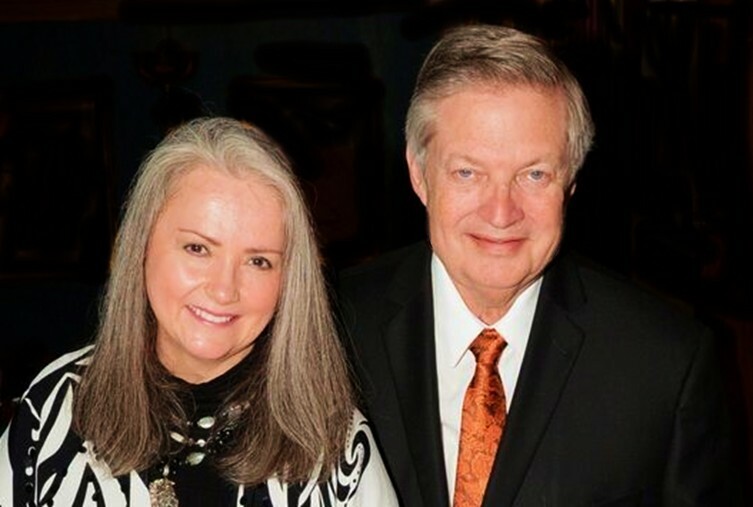 The Hope Inspiration Ministry (H I M), founded and guided by Frank and Connie Jordan, has been delivering the knowledge, understanding and wisdom nationally through media, writings and personal appearances to enable loyal followers to be in deed Healthy, Wealthy and Wise! 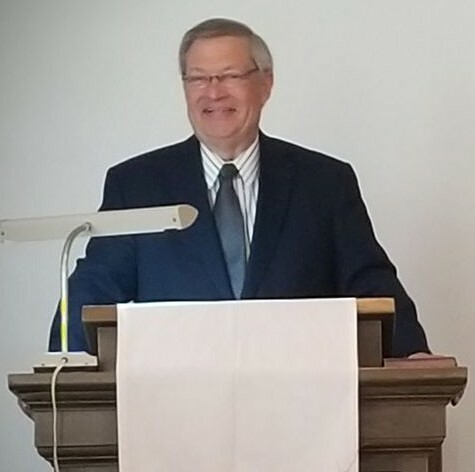 Frank Jordan has been teaching, writing about and preaching the gospel for more than 45 years and wants to share the good news with you and particularly as it pertains to our health and happiness. 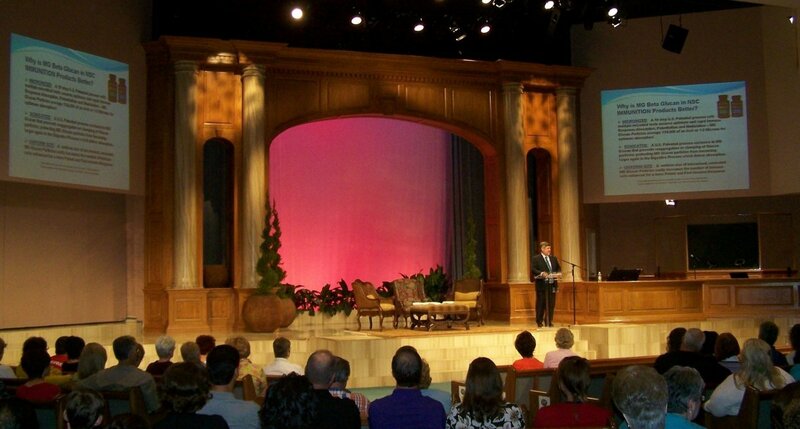 His mission, according to Frank, is to use the blessing of ability to speak locally and nationally to deliver the "fruit" of eternal life through HIM (Proverbs 18:20-21) by preaching and teaching the Gospel to those who listen and watch; thereby performing what we are told is our Christian' mission in life . "There is no greater joy or fulfillment as a Christian than personally being a part of seeing a soul saved through Jesus Christ, with the Hope Inspiration Ministry intended to be a vehicle in accomplishing that goal." The Hope Inspiration Ministry seeks to provide you a harvest of health knowledge and understanding involving body, soul including mind and spirit through the lips (mouth) and pen of Frank Jordan, and other multiple media outlets for his spiritual and health messages. But you must implement that information from Frank in your personal life to "eat its fruit" in a spiritually based health program for both you and those you love. Who you are is a gift from God. Who you become is your gift to God!" True wealth is measured by your health, joy and peace in your life - plus your treasure stored for you in heaven; not money! Wisdom comes only after being exposed to knowledge and gaining an understanding of facts and how to best apply knowledge to accomplish our purpose and objectives in life. Peter in 2 Peter 1:5-8 beautifully presents our purpose, mission and objectives for ourselves and you, "...Make every effort to add to your faith goodness; and to goodness, knowledge; and to knowledge, self-control; and to self-control, perseverance; and to perseverance, godliness; and to godliness, mutual affection; and to mutual affection, love. For if you possess these qualities in increasing measure, they will keep you from being ineffective and unproductive in your knowledge of our Lord Jesus Christ." Let us now grow and be productive in faith as instructed by HIM in this progression through life. Knowledge provided about health is too often void of a spiritual perspective and Biblical wisdom, but HIM seeks daily to fill that void in a national health ministry from an emotional, physical and spiritual viewpoint; perhaps better described as a "Holyistic" approach to health.. The Hope Inspiration Ministry, a non-contributory ministry, has for many years helped sponsor holistic health education, while providing free health products for many in need - most through Frank's multiple appearances each weekday on national TV. 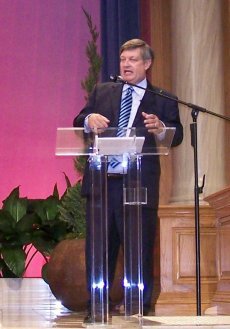 Frank Jordan is also a nationally sought speaker in health and spiritual matters (speaking in Lake Charles to 1,000+ in photo) with books in the faith category including "Holiday Treasures" and "Lessons in Life and Faith - Volumes 1-3." Selected "Frankly Speaking columns published weekly in the "Gazette" newspaper can be read at www.immunitionreports.com . 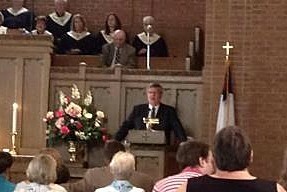 Go to any Church in the nation and look at the topics of the prayer request and you will see 90%+ relate to health issues of the congregation and others in need of prayer. The importance of an educational and supportive health ministry is essential today as Christians cannot preach and teach the message of the Gospel unless their health allows the development and fulfillment of their purpose and talent use. While a surprise to most people, even Biblical scholars, that while the most important topic is salvation, the most prevalent topic of Christ in the New Testament was health! 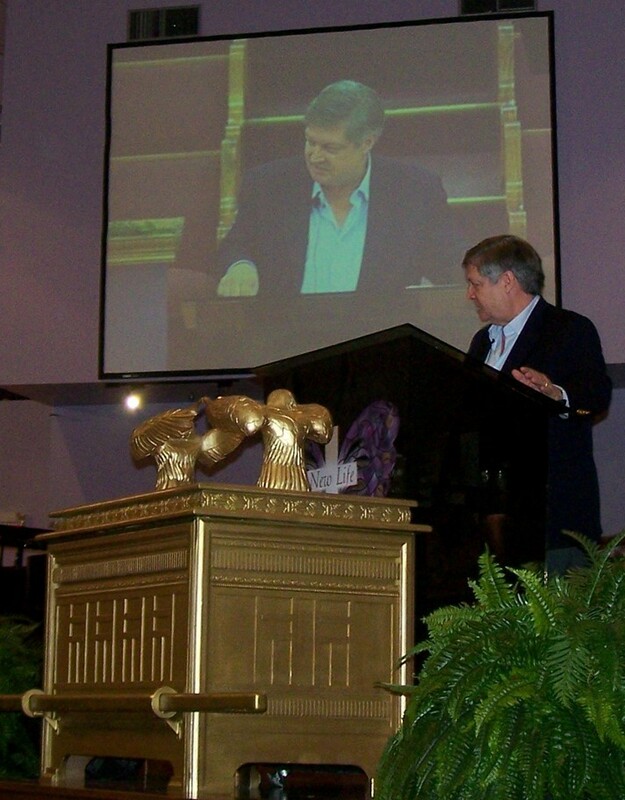 Through a personal, Radio, TV, Newspaper Video, Audio, Web and Pulpit ministry, Frank Jordan delivers "Sound" Advice in health and spiritual matters based on a lifetime belief in HIM. The Hope Inspiration Ministry, recognized nationally as H I M, draws its focus and purpose from the Word of God, the Bible and the Lord HIMself..
Frank Jordan, as an ordained minister, tells us H I M derives its mission from the Bible verses below; to guide you in gaining knowledge and understanding from which we attain hope to cope in life's issues and in a holistic, or even better "holyistic" approach to healing. 'You were bought at a price [by Jesus death on the cross]. Therefore honor God with your body.' 1 Corinthians 6:20"
We seek to know the cause through H I M of health challenges in the "whole body" by evaluating the history and symptoms to see why an individual or several parts of the body do not work as they should to perform their functions in providing good health properly. "You are as young as your hope, but as old as your despair; as young as your faith, but as old as your doubt." The Hope Inspiration Ministry seeks to help you in eliminating doubt and despair in health, while inspiring faith and hope as we travel together this ongoing road seeking good health and God's will in our lives. Do not lose hope - the body is designed to heal through the immune system God gave each of us and know miracles do happen. The God who created your body can, if you accept HIM as Lord and it be His will, cure your body. We at H I M do care about you as we seek to bring health to your body and nourishment to your bones! H I M seeks in the Spirit to serve, teach, encourage and contribute to the needs of others to deliver wellness through faith and science. H I M will seek the best from all health sciences - allopathic (MD), osteopathic (DO), homeopathic (HMD), naturopathic (ND), plus the spiritual and natural with emphasis on the latter two we recognize and describe as "Holyistic." Frank Jordan and the HWW Staff will truly listen to you as a child of God to attempt to provide the answers you need and to warn and inform you of health dangers from diseases, drugs, terrorism and health scams. 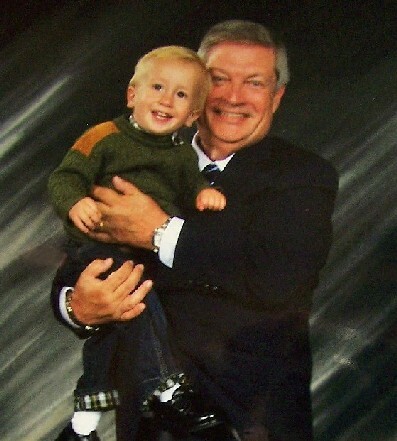 Frank Jordan says, "I'm not sure what the future holds, but I'm absolutely sure who holds the future - HIM!" ATHEISM IS A NON-PROPHET ORGANIZATION! CAN AN ATHEIST GET INSURANCE AGAINST ACTS OF GOD? AN ATHEIST AT DEATH IS ALL DRESSED UP WITH NO PLACE TO GO! 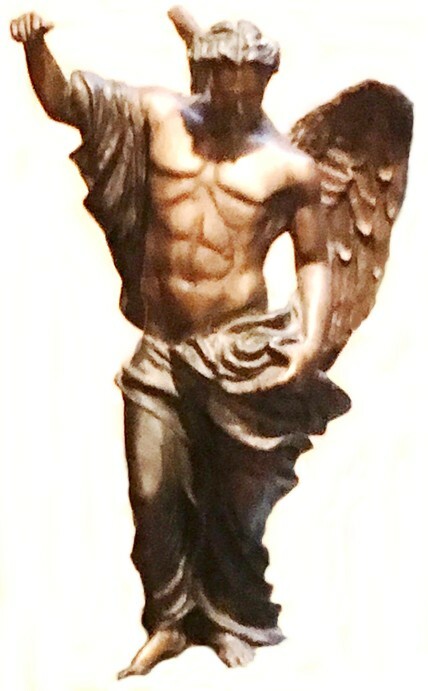 The Spirit has Descended on HIM like a Dove - What that means to You! The Hope Inspiration Ministry believes the Spirit has descended on HIM like a dove and for this reason the dove is the symbol of H I M. We all must know and believe the Lord is the Great Physician who will provide perfect health in eternity for those who join HIM in paradise. But H I M is here to help you, while physically on this earth, to enable you to treat and keep your body as a temple so that you are physically able to use your God-given talents to do His will as you go in good faith and good health. Medicine is more than surgery and prescriptions. Faith, hope and spirituality are all part of healing and recovery combining to represent Holyistic Medicine. Outstanding physicians encourage and instill confidence for success in their patients. Don't let your physician discourage you or make you lose heart. Sometimes skilled surgeons and physicians are not skilled in patient communications including bedside manner. Know every major surgery or illness is filled with moments of potential and even actual spiritual transformation. Health-related crises produce windows of fear, vulnerability and susceptibility, sometimes calling into question everything pursued or achieved at a point in time.. A serious illness promotes a crisis of overwhelming doubt, but can also become an opportunity for revelation unlike any other experience in our lives. When the air is knocked out of us, we grasp the meaning of breathing. Every patient wants his or her recovery to be exceptional - the fastest and most complete ever. Don't be afraid to want it, to make it happen. Patients who believe they can cure themselves are usually the ones who do. Questions in Life that have Answers in H I M! How is life and healing related both physically and spiritually to Jesus Christ who sacrificed His life through His Blood on the Cross? I feel so alone and afraid in fighting bad health and aging - Does anybody care about me? I haven't lived a perfect life - in fact not even close! Will God and Christ forgive me and help me to conquer my personal health challenges? What is the purpose of God in letting bad things happen to good people? An old hymn, Firm Foundations, tells us, "When through fiery trials thy pathway shall lie, My grace, all sufficient shall be thy supply; The flame shall not hurt thee; I only design, Thy dross to consume and thy gold to refine." Impure gold is heated to a degree that the impurities, or "dross," floats to the top for removal, leaving only the purified gold. Through life challenges God removes the impurities in our lives to make us purified children of God and focused on God. My doctors can't find out what's wrong or I can't afford what they say to do - can Faith in HIM go beyond the benefits and knowledge of medical science today? Are over-eating and obesity and drinking excessively a faith-related health problem? What does the Bible say? Is prayer effective in healing for either myself or others? Can a miracle in health apply to me or my loved ones? What are You? A Carrot, an Egg or Coffee Bean? 'Which are you?' she asked her daughter. 'When adversity knocks on your door, how do you respond? Are you a carrot, an egg or a coffee bean? Now honestly evaluate yourself. Am I the egg that starts with a malleable heart, but changes with the heat? 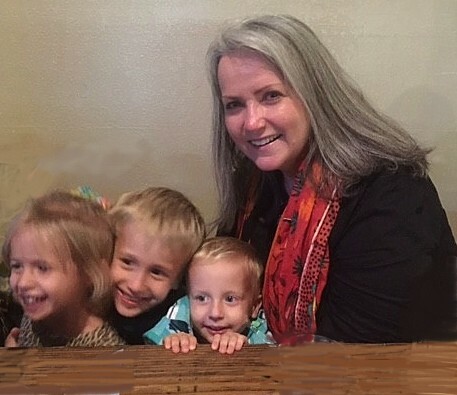 Did I have a fluid spirit, but after a death, a breakup, a financial hardship, a family quarrel, health challenge or some other trial, have I become hardened and stiff? Does my shell look the same, but on the inside am I bitter and tough with a stiff spirit and hardened heart? Or am I like the coffee bean? The bean actually changes the hot water; the very circumstance that brings the pain. When the water gets hot, it releases the fragrance and flavor. If you are like the bean, when things are at their worst, you get better and change the situation around you. When the hour is the darkest and trials are their greatest, do you elevate yourself to another level? How do you handle adversity? Are you today a carrot, an egg or a coffee bean? What you will be tomorrow depends on what you decide you want to be today and who you have to guide your path. Follow Jesus Christ as your guide and you too can change the world around you, as did He! ** First recorded for Frank Jordan's nationally broadcast commentaries heard on Sirius/XM Radio each weekday on Ch 131 at 4:26 pm EST and contain brief broadcast advertising in addition to Frank's message. 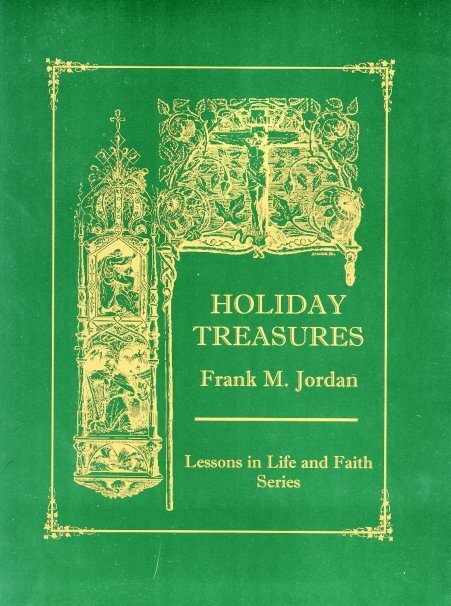 Frank Jordan's nationally popular book, "Holiday Treasures" is a wonderful collection of spiritual essays he has written related to Christmas, New Years, Valentines, Easter, Mother's Day, Independence Day, Thanksgiving - even Birthdays! Your purchase of "Holiday Treasures" can help others as all proceeds from "Holiday Treasures" are contributed by Frank Jordan to the Hope Inspiration Ministry. Order this beautiful Holiday book or all seasons (size 8 1/2 x 11" with 132 pages on high gloss paper with magnificent graphics), with a high quality Cover highlighted by magnificent simulated gold leaf now by calling 888-541-3997. Frank Jordan wants you to share the spiritual beauty and meaning of our many annual celebrations in this outstanding collection of heartfelt writings from a Christian perspective. "Holiday Treasures" is now available to supporters of the Hope Inspiration Ministry at a specially discounted price of only $16.96 (retail $19.95) from the Catalog for H I M .
A must read is "The Concert of Life - Don't Quit - Keep Playing!" You will be both touched and inspired by this beautiful true story. Read how Mildew/Fungus/Mold and Infectious Diseases were addressed in the Bible thousands of years ago by clicking on "Fungus in the Bible." Good Health is the True Wealth - Sometimes Not Fully Appreciated Until Lost! When we speak of wealth in H I M or on Frank's Healthy, Wealthy and Wise Commentaries, we are not talking about material wealth in dollars. Certainly we all want to be able to meet our needs and those of our families in accumulation of monetary wealth (See the poem "Answered Prayers" below). But the greatest wealth in this world is good health and the wisdom to know how to live in His Word to be all that we can be in doing His Will. We must draw on Christ to give us the strength and will to overcome life's challenges, so often involving our health or the health of those we love. Precious health wealth for you and for those for whom you care is the wealth we seek to give through providing knowledge, understanding and wisdom in health matters at H I M and Healthy, Wealthy and Wise. Frank Jordan as Host of his Frank Jordan' Healthy, Wealthy and Wise Commentaries now Podcast 24/7, strives to provide the truth through beneficial knowledge in health and healthcare to the millions in the world seeking answers too seldom given without a motive of profit and power. Gain understanding from all the health sciences to enable you and your loved ones to maintain or regain your good health, particularly as we age and to gain the long life available through health wisdom. Remember one of the major focal points of Jesus' ministry was to heal the sick and even raise the dead. If Life brings you to it, God will bring you through it. Frank says, "If you don't watch where you're going, you'll go where you're headed!" Where are you going with your health today? If you don't change your lifestyle, where are you headed? Let today be a new beginning for the rest of your life - the first day of your better tomorrow." 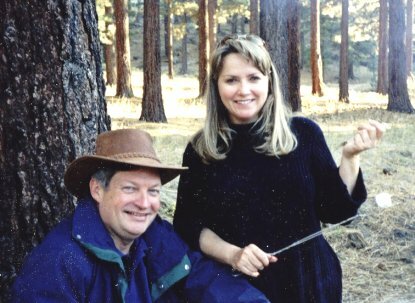 H I M helps support Frank Jordan's Commentaries Podcast - Your Wellness. Physically and Spiritually, is enhanced through "Frank Jordan's Podcast" with more than 1,000 spiritual and physical health 3 minute commentaries available 24/7 for listening by simply clicking on Podcasts. 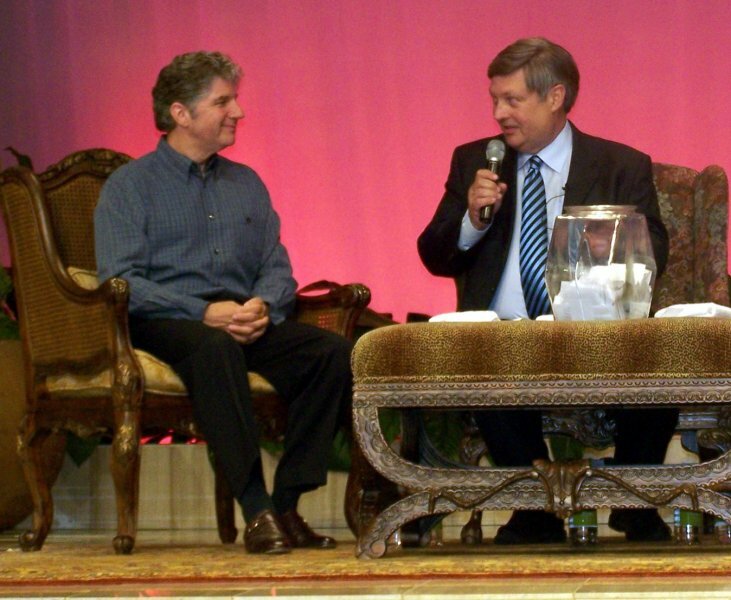 The Podcasts were originally nationally broadcast on Sirius/XM Satellite Radio FamilyTalk Channel 131 weekdays. Frank Jordan says, "Don't put your faith in governments which are made by men; put your faith in the Lord and individuals who are made by God with the individual most responsible for your health being You! Join us so you can take charge of your health through knowledge and understanding based on the truth from the Prophet - not slanted spin designed for profit!" Psalm 118:8 confirms Frank's truth, "It is better to trust in the Lord than to put confidence in man." Frank Jordan Now Appears Daily with extended interviews 8 times monthly on Doug Kaufmann's "Know the Cause" Nationally and many Independent TV Stations! Join Frank Jordan each week with Doug Kaufmann on Doug's "Know the Cause" National TV Show on the WGN Channel, Dish Satellite Network on the CTN Network twice daily, plus 300+ local cable networks. Also view on DirecTV, Comcast, AT&T, CTN, GloryLand and numerous other cable and independent TV stations nationally. To know where in your area, go to www.knowthecause.com and enter your zip code. In the Houston area, Frank Jordan appears on Know the Cause on WGN TV at 5:00am CST weekdays. Frank Jordan interviews with Doug Kaufmann can be found at www.nsc24.com . These two Christian health experts truly care about you and your health and bring health truths from a holistic and spiritual perspective with you as the priority! Watch and learn from the years of experience in health and media from Frank and Doug! For additional information, call the offices of "Know the Cause" at 972-772-0990. 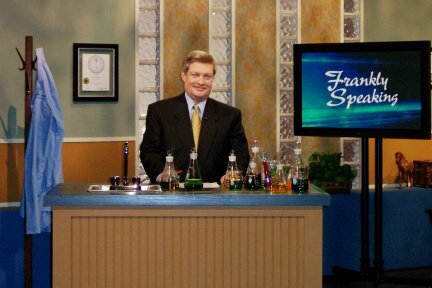 Healthy, Wealthy and Wise, the TV Show, is not currently in production, but was previously broadcast nationally on the Family Net Christian Network weekdays, with Frank Jordan as Host with prominent health experts and the special segment, "Frankly Speaking." Many of the "Frankly Speaking" segments were collected for Frank Jordan's book, "Frankly Speaking," now available for you or a great gift through H I M. Health of body, mind and spirit are essential to a good life and Frank and Doug are two Christian health experts to help you help yourself. 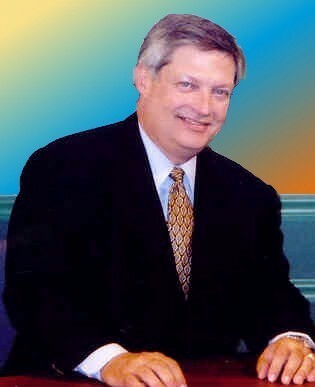 For the specific appearance schedule for Frank Jordan on "Know the Cause" go to www.hwwshow.com. FOUR: Stay fit. As you age, you can still do something really big, including telling the good news to all who will hear. Support Christian Companies such as NSC, a Provider of Quality Nutritional Products Supporting Your Immune System God made 1/5th of Your Body! Remember to "Praise the Lord and Pass the IMMUNITION - Ammunition to Win Your Body War!" Support Christian companies when possible, including the Nutritional Scientific Corporation (NSC). We must always seek the truth in health as in other aspects of life and seeking and supporting Christian companies with integrity in manufacturing is a worthwhile path that indeed in many instances can set you free from health problems. It was at Pearl Harbor on December 7, 1941, as American soldiers were under attack by enemy incoming aircraft that a Chaplain was asked to say a prayer. As machine gun fire from enemy aircraft blanketed the area, the Chaplain turned to the troops and shouted, "Praise the Lord and pass the ammunition!" as he jumped behind an anti-aircraft gun to return fire at the enemy fighter planes. You are now being attacked by health enemies and again need to combine prayer with action as you arm your immune soldiers! Shout "Praise the Lord and Pass the IMMUNITION - Ammunition to Win Your Body War and begin naturally and nutritionally to win your body war today! Frankly Speaking Book: Special for Only $9.48! 50% H I M Discount! 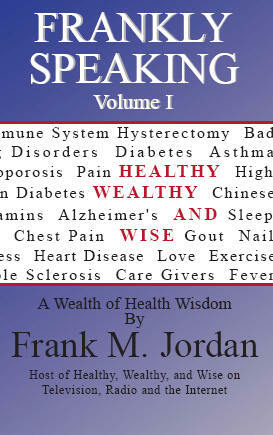 "Frank Jordan's 'Frankly Speaking' delivers easy-to-understand health information and wisdom from a man who truly does put the "care" back in "healthcare" for his legions of fans from radio, TV, the internet and his books." A special H I M' price for "Frankly Speaking Volume I" by Frank Jordan is offered for only $9.48 - a 50% Discount - for a limited period (retail value $18.95). Call 888-541-3997 or order from the Catalog for H I M to assure you have your copy of this outstanding new book signed by Frank Jordan for only $9.48 plus shipping and handling! H I M believes quality "medicine" is essential to critical care when appropriate, but lifestyle in accord and conjunction with Biblical teachings in natural substances is the key to knowing the cause of disease when combined with revealed science. Shop from the HIM Catalog to help support this Ministry. For the latest in health information go to the www.nsc24.com website or call 888-541-3997. We wish for you good health through faith and science! The Hope Inspiration Ministry wants to bring HIM into your life today and urges you to pray, discover and accept the truth that Jesus Christ is Lord in your life and the way to eternal life where we will experience perfect health forever! To truly serve and bring the Word to others, you must have the optimum health sought for you by God. You can't cope without hope and hope is the product of the Hope Inspiration Ministry or H I M.
May the Lord Bless You and Keep You! Go in Good Faith and Good Health from the Jordan's and the Hope Inspiration Ministry! Frank Michael Jordan is an ordained Minister. These statements have not been evaluated by the Food & Drug Administration. Any products mentioned are not intended to diagnose, cure, mitigate, treat or prevent any disease.